A 23-year-old man from Ipswich has been jailed for 10 years and six months after committing a robbery and also admitting to a number of burglaries in various towns and villages in Suffolk. 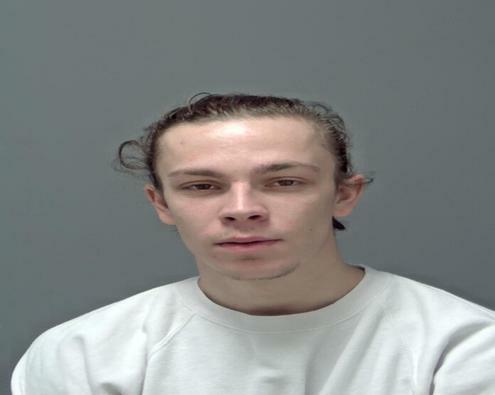 Freddie Cook of Ashcroft Road, Ipswich, was convicted yesterday, Thursday 11 April, at Ipswich Crown Court after he pleaded guilty to a charge of robbery at a property in Hepworth on Tuesday 15 January. During the incident the victim was approached by masked men while he was outside his home and was grabbed, threatened and assaulted before being forced inside the house. The masked men then conducted a search of the property in which they stole keys, cash and a phone which was later located nearby, following the males making their escape. The incident left the victim with numerous injuries including a fractured wrist. Cook was identified by forensic analysis and arrested on Thursday 24 January and was taken to Martlesham Police Investigation Centre for questioning before being charged with robbery. Between being charged and being dealt with in court, Cook chose to work with officers from Suffolk Police’s Operation Converter TIC Unit and went on to admit 20 further offences – including burglaries, an attempted robbery, theft and aggravated vehicle taking, all carried out between April 2018 and January 2019. 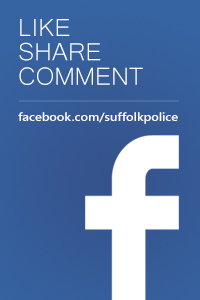 During one of the burglaries, on Thursday 27 December, 2018, in Long Bessels, Hadleigh, a convenience store was broken into and a glass door was smashed. A number of items were stolen including alcohol, cigarettes and a till. Another property in Eccles Road, Ipswich, was broken into on Thursday 17 January, and a number of items were stolen including electrical goods, watches, jewellery, a set of car keys and a black Ford Focus ST.
A third property in Sandringham Close, Ipswich, was also broken into on Friday 18 January, and a number of items were stolen including a set of car keys, a white Ford Fiesta, a TV and jewellery. Operation Converter is an initiative aimed at encouraging offenders to admit their crimes. 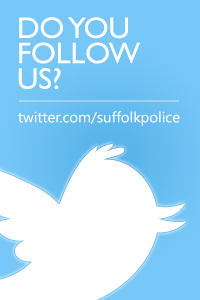 This has benefits for all – police are able to give victims some peace of mind that an offender has been caught for the burglary of their home or the theft of their property and the individual has the opportunity to clear their slate so they can have a fresh start when they are released from prison, without the possibility they will later be traced for a further offence. Offenders have to give sufficient detail for officers to be sure they have committed the crime and these offences are then ‘taken into consideration’ at sentencing. The judge will look at all the offences before determining the sentence. Commenting on the sentencing, Detective Constable Barry Simpson from the Operation Converter TIC Unit said: "Cook was visited while on remand in prison after he was charged with the offence of robbery. The TIC (Taken Into Consideration) process was explained to him in full. Cook then chose to engage with the TIC Unit in order to serve his impending prison sentence knowing that he would not have any crimes outstanding against him upon his release. This ensures that he can start his life with a clean slate and should provide every incentive to steer clear of committing crime in the future. “Throughout the process, Cook was cooperative and candid regarding his offending and gave details of where property stolen from several of the burglaries had been hidden. Searches were conducted and attempts were made to recover the items at various locations but unfortunately all were unsuccessful. “This TIC process has allowed Cook’s victims to be updated with a positive outcome and for the officers in charge of the individual investigations to provide them with some reassurance and future crime prevention advice.